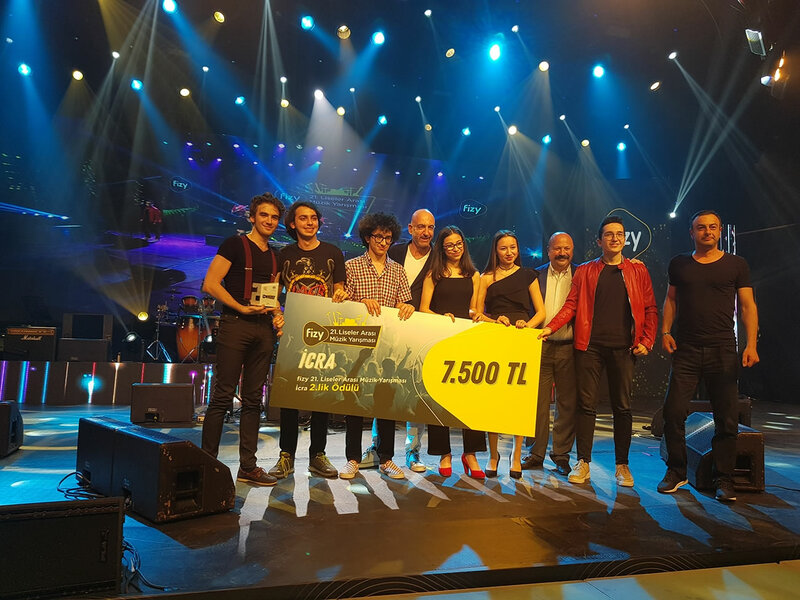 Çevre high school band takes the second place in the titles ‘Best Male Singer’ and ‘Best Performance’ in the grand finale of ‘21st Annual ‘Fizy Music Contest’. Our band’s lead vocal, Beycan Dağcı has received ‘The Best Male Singer’ award by M.F.Ö member Fuat Güner and Ayşem Ertopuz, the General Manager in charge of Turkcell Digital Services and Solutions. Band members Beycan Dagcı, Önder Yılmaz, Hande Hatipoğlu, Eren Güneysu, Aslınur Uluçay and Tuna Şendil and their advisor teacher Volkan Kemiksiz have been announced on stage to receive their awards together with their advisor teacher Volkan Kemiksiz by Turkcell CEO Kaan Terzioğlu and founder of the contest Serhat Hacıpaşalıoğlu. 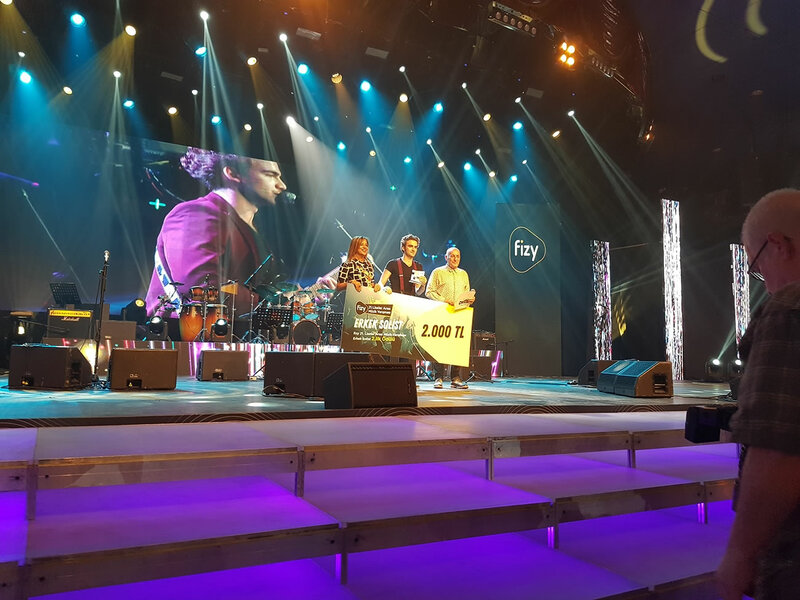 The best 30 schools among 557 schools have been selected to perform in the finals and our school band has received the prize of 7500 TL on coming second in the contest. The band ‘Kalben’ Ece Seçkin, Çağatay Akman and Gökhan Akar have performed on the award ceremony. 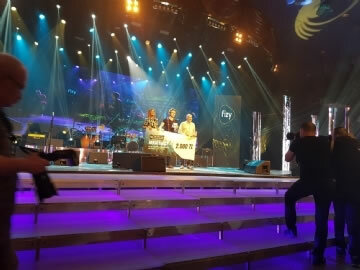 Nükhet Duru has sung songs on receiving ‘Legend of Pop’ award. 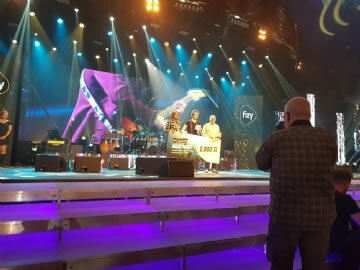 Celebrities like Turkcell CEO Kaan Terzioğlu, Sertab Erener, Fuat Güner, Lale Manço and Doğukan Manço have presented the awards to the young performers. 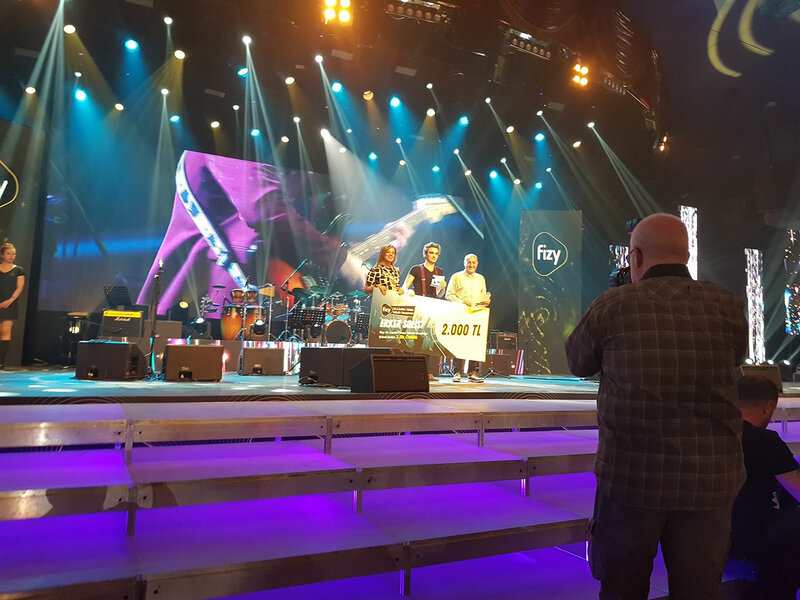 At the only platform to determine the best school bands in Turkey, the performances have been judged by a panel of musicians such as Serhat Hacıpaşalıoğlu, Kalben, Güliz Ayla, Demet Sağıroğlu, Turhan Yukseler, Tarkan Gözübüyük, Meltem Taşkıran, Figen Çakmak, and Olcayto Ahmet Tuğsuz. 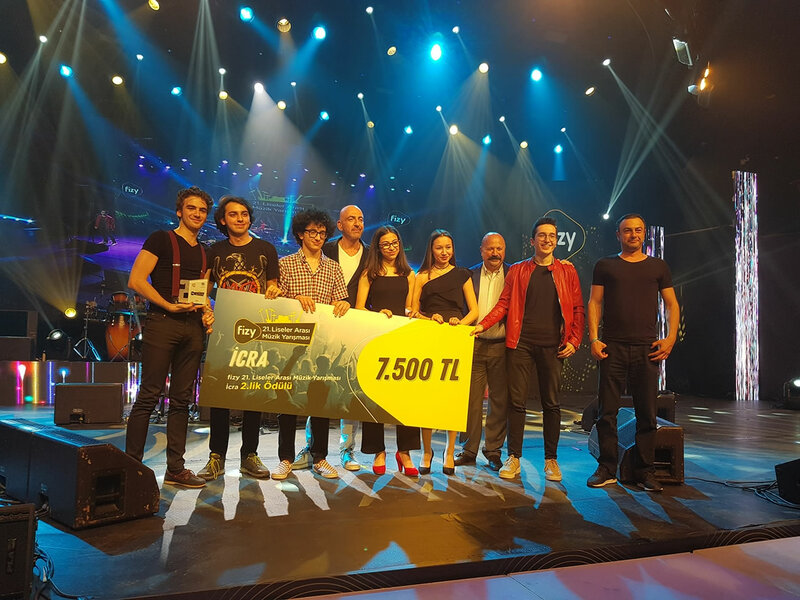 We congratulate our students, Beycan Dagci, Önder Yılmaz, Hande Hatipoğlu, Eren Güneysu, Aslınur Uluçay and Tuna Şendil and their advisor teacher, Volkan Kemiksiz, on their success in the competition.